Seton's Van Accessible Signs are backed by our 100% Satisfaction Guarantee! 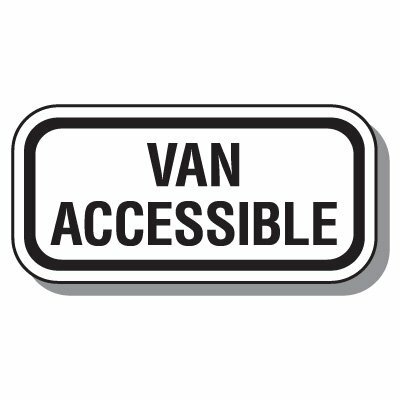 Select from a wide variety of Van Accessible Signs at competitive prices. Plus most of our top-quality Van Accessible Signs are in stock and ready to ship today. Did you know that one out of every six accessible parking spaces, or fraction of, must be van-accessible? Seton has the guidance and sign solutions to help you stay compliant. Connecticut State Handicap Signs - Van Accessible S.T.C.